PIGS aims to help people make innovative improvements to countryside access and the rights of way network in their area. The scheme is a partnership between Wiltshire Council’s Rights of Way and Countryside section and the Wiltshire & Swindon Countryside Access Forum. Parishes can bid for up to 50% match funding, if their proposal is approved they then undertake the schemes themselves. In 2014, funding was offered towards the following eight P I G S schemes. These have been delivered by the town and parish councils. Creation of a new permissive path to provide new walking opportunities from the village. 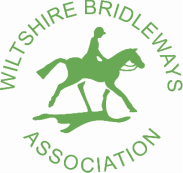 If you know of any bridleways that might be improved to help other users, let us know!